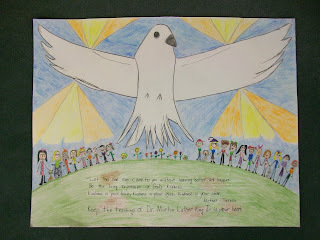 The Office of Black Catholic Ministry recently announced the winners for the January celebration of Dr. Martin Luther King Jr.
A crayon drawing of a dove with its open wings hovering over people of many colors was the first place winner in the Fourth Annual Chancery’s Choice Poster Contest in honor of Dr. Martin Luther King, Jr. The 1st Place prize went to Gilliane Conklin, who attends St. Catherine of Siena School, Kennesaw. 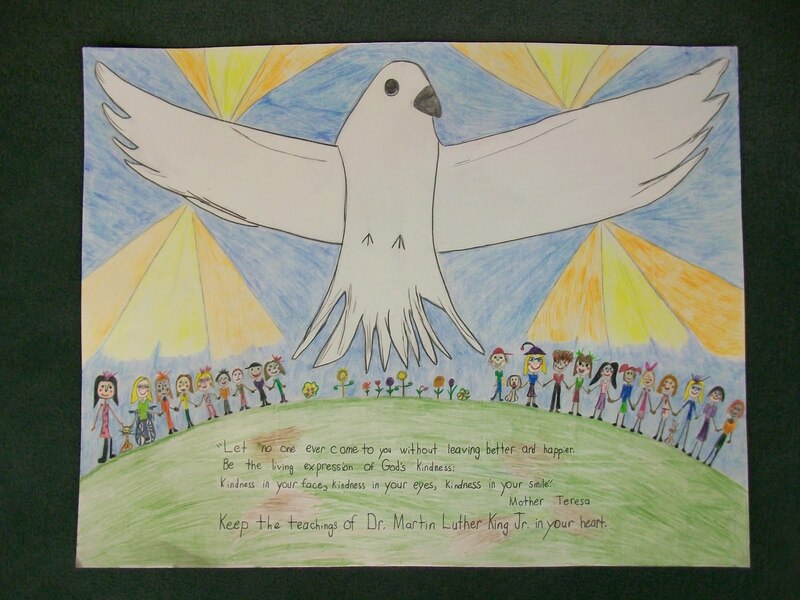 Olivia House, a student at St. Thomas More School, Decatur, earned 2nd place and Carmela Pagsisihan, Our Lady of Victory School, Tyrone, took home 3rd place. The winners will be recognized during the Youth Celebration on Sunday, Jan. 16, at St. Peter Claver Regional Catholic School, Decatur.